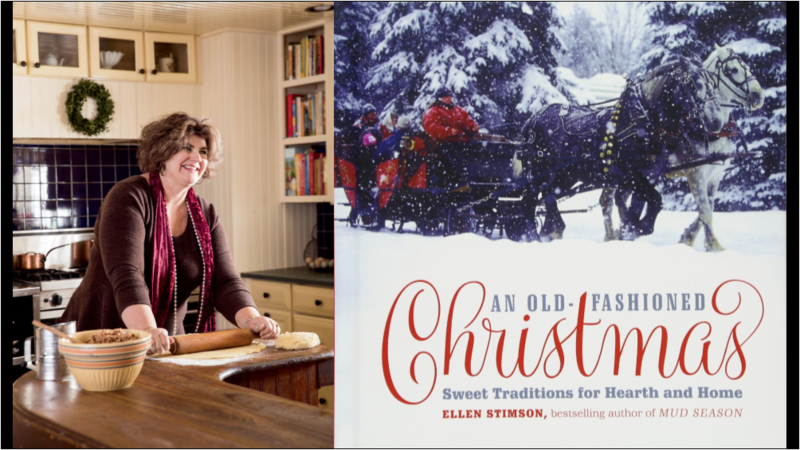 Ellen Stimson is coming to the Norman Williams Public Library to help us all get in the holiday spirit with her book An Old Fashioned Christmas: Sweet Traditions for Hearth & Home! Join us for a presentation by the author, organized by the Friends of the Norman Williams Public Library. As with every library event that we support, a portion of all book sales at the event will go to the NWPL. ABOUT THE BOOK: With its trademark snow, piney forests, sleigh rides and woodsmoke curling out of village chimneys, New England was practically invented for the Christmas postcard. It’s got your Christmas goose and the maple syrup you are gonna use to glaze it. It is a whole bunch of the reason Ellen made Vermont her home. Here she shares recipes that have been in her family for generations, mixes up a cocktail or two, and invites readers to make their own traditions. ABOUT THE AUTHOR: Ellen Stimson is a book junkie with an affection for food, politics, and country life. She is raising kids & animals and writing about the whole divine catastrophe from an old farmhouse in Vermont. Her previous books include: Mud Season: How One Woman's Dream of Moving to Vermont, Raising Children, Chickens and Sheep, and Running the Old Country Store Pretty Much Led to One Calamity After Another, and Good Grief: Life in a Tiny Vermont Village.